The five dismissed lawyers are A.K. Ramasamy, Dharmaraj, Arumugam, Nedunchezhyan and Sankaranarayanan. The first two are the office-bearers of the Madurai Bar Association. 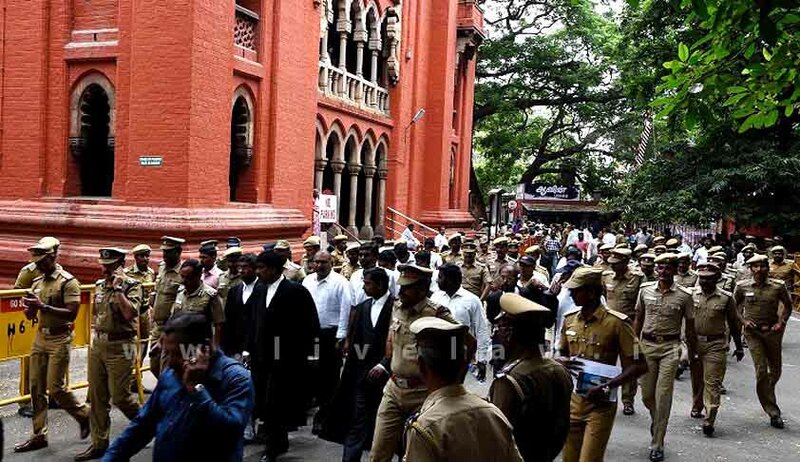 The 13 lawyers were castigated for organising agitations and participating in rallies and processions against a Madras High Court order mandating wearing of helmets while riding two-wheeled vehicles. They were also accused of abusing certain judges and accusing them of indulging in corrupt practices. While the inquiry was initially entrusted with the Bar Council of Tamil Nadu and Puducherry, it was transferred to the Bar Council of Karnataka following differences of opinion between members of the committee and allegations of bias.